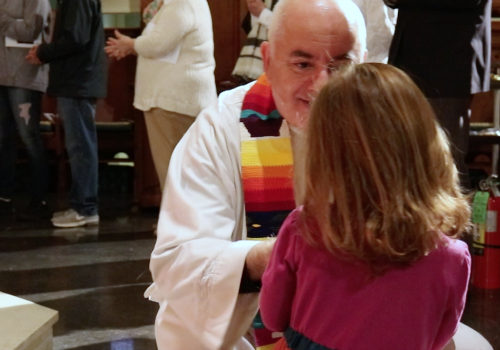 As Episcopalians, we believe that God loves you – no exceptions. St. James Cathedral is a vibrant and historic Episcopal church in the heart of downtown Chicago, welcoming you as you are, without conditions or expectations. If you are a first-time visitor to our website, we look forward to meeting you when you visit our church. Plan your visit now to find your place in the story of St. James. Our congregation draws members from the downtown neighborhood, across the city, and the Chicago suburbs. Our diversity also extends to worship, which balances traditional worship styles with progressive, theologically-grounded preaching that fully embraces all people into the body of Christ regardless of age, ethnicity, expression, orientation, or background. As members of the "Episcopal branch of the Jesus Movement," St. James is committed to caring for the members of its congregation, making God’s presence known where we live. We seek to engage with our communities by listening to our neighbors, serving those in need, and asking challenging and culturally relevant questions about faith, identity, and experience. 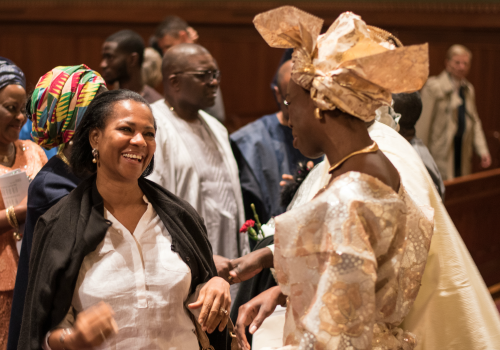 As the cathedral of a group of 125 churches called the Episcopal Diocese of Chicago, St. James hosts events and celebrations for our sister churches. Through the arts, music, and social justice activities we offer a variety of ways to become involved in our community. Whether you are a committed follower of Christ, an occasional visitor who appreciates our programming, or fall somewhere in between, we are glad that you are visiting us online and look forward to getting to know you in person. If we can be helpful, please be in touch.